On this date in 1896, one of Florida’s most famous authors was born. She was best known for The Yearling and Cross Creek. 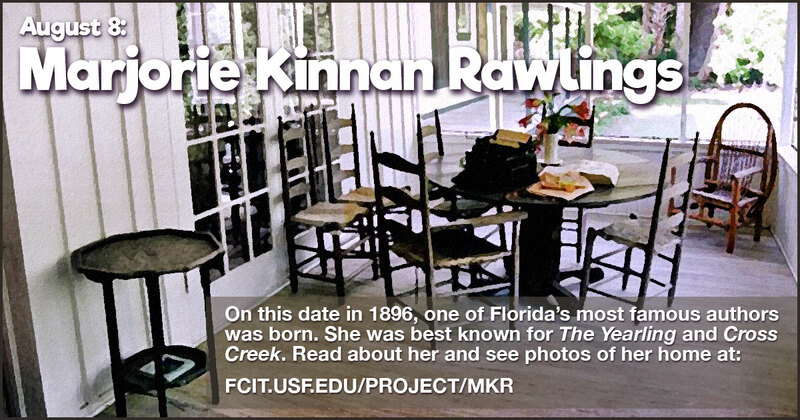 Use this banner on social media to share our Marjorie Kinnan Rawlings resource collection. 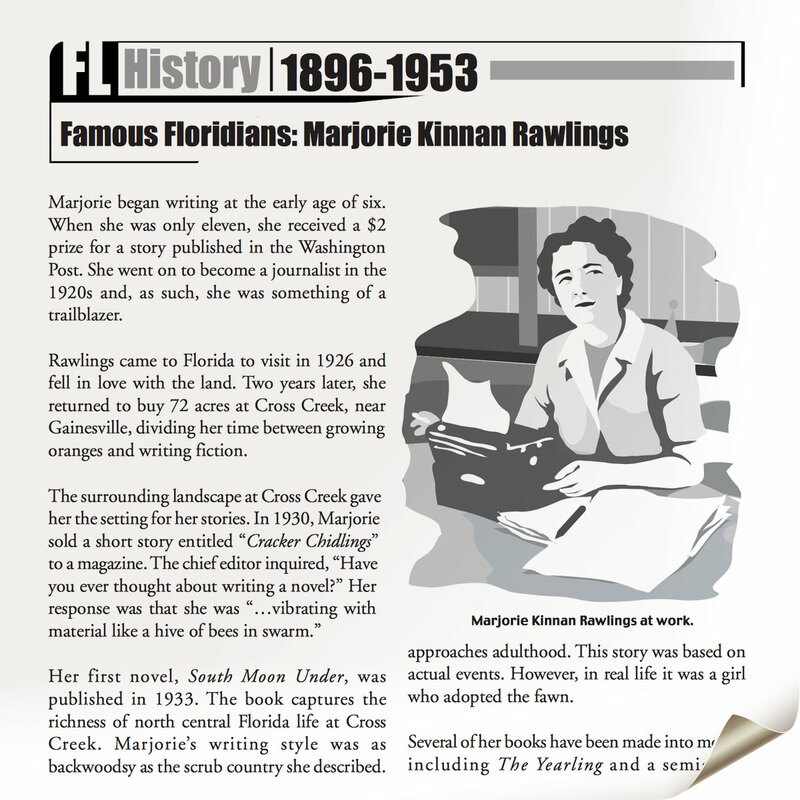 Two-page PDF of Rawlings and her connection to Florida from the Exploring Florida website. This is one of over 70 “Florida Then and Now” passages. Photo gallery of the Rawlings home in Cross Creek, Florida, from the Exploring Florida website. Included among the photos are those of the porch on which she typed her manuscripts and sometimes slept.